After arriving into Zhengzhou International Airport, a 50 minute ride will take you to the center of the city. Check into your hotel and drop off the luggage. You are ready to explore this vibrant city. Begin your introduction of the city at the Henan Museum, one of China’s oldest museums housing cultural relics dating back 5,000 years. Head east from the Museum and hang a right on Huayuan Road to enjoy a delicious local lunch at Jing Xiang Braised Noodle Restaurant. Walk off your lunch at the Erqi Square, the busiest commercial area in Zhengzhou, filled with department stores and restaurants. Make a photo stop at the Erqi Strike Monument Tower before browsing the many stores selling modern fashion to local souvenirs. By early evening, you should be succumbing to jet lag. There is no better feeling than to fall asleep on the soft and fluffy Signature Bed at the Aloft Zhengzhou. Take a good night’s rest as tomorrow’s adventure will take you outside the city center. Today we take an excursion outside the city to Dengfeng to visit the infamous Shaolin Temple. Just south of the majestic Songshan Mountain Range, the Shaolin Temple lies at the foot of its namesake, the Shaoshi Mountain. Covering over 30,000 square meters, the Temple grounds consist primarly of the Changzhu Yard, where monks and deacons live and carry out their practices. The Changzhu Yard consists of seven main buildings and a wealth of historical sites including the Forest of Steles, Daxiong Hall, Hall of One Thousand Buddhas, the Pagoda Forest, Yugong Pagoda and Dharma Cave. Modes of transportation to Dengfeng from Zhengzhou include taking a one day tour from the hotel, hiring a car and driver or utilizing the public transportation via train and bus. As time is limited, we’ll opt for the one day tour excursion from the tour desk of our hotel. This way, you can enjoy the scenic drive and not have to worry about catching a local train or bus. The day will be spent exploring the many sights of Shaolin Temple. Make sure to walk through the Pagoda Forest, a cemetery for Buddhist dignitaries. The pagodas stand less than 49 feet tall and each is made according to the Buddhist’s status, attainment and prestige during his lifetime. Continue walking northwest to visit the Ancestor’s Monastery and the Second Ancestor’s Monastery. It is said that the first Ancestor’s Monastery was built to commemorate Dharma’s nine years of meditation in a cave and the second, a nursing home for Huike, who had cut his left arm to demonstrate his sincerity in studying Buddhism from Dharma. A wonderful performance is put on by the monks at the Shaolin Temple Wushu Training Center. Be sure to watch the amazing display of martial arts before returning to Zhengzhou. The agenda for today is to visit the Yellow River Scenic Area. Take a local bus or taxi to the Zhengzhou Railway Station and transfer to a shuttle bus to the Yellow River Scenic Area. After paying 40CNY to enter the scenic area, we’ll first explore the Five Dragons Peak, one of the five top scenic spots in the area. The Five Dragons Peak is named after 5 mountain ranges that when viewed from afar resembles that of a dragon’s body. Climbing to the top at the Jimu Pavilion has an awesome view of the gushing River below and the surrounding forested mountains. Yueshan Temple has a beautiful Purple Golden Pavilion and a lovely Peony Garden. The Camel Mountain Range is highlighted by a figure of Yu the Great, a beloved legendary ruler in China’s prehistoric times and the first King of the Xia Dynasty (2070 BC – 2061BC). Two large stone figures of Yandi and Huangdi facing the Yellow River, were built to commemorate these two great emperors in China’s history. The last scenic spot to visit is the Anicent City of Liu Bang and Xiang Yu. Walking around the ancient city takes you back to a time when life was simpler. 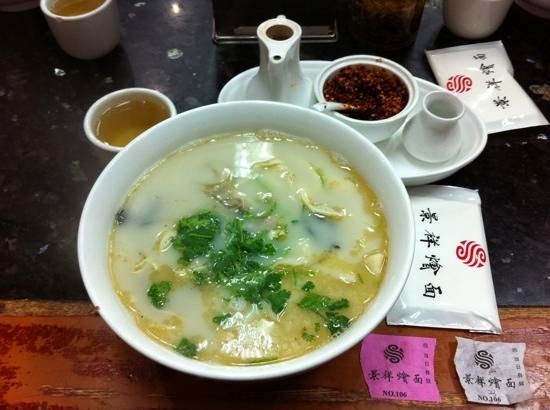 Head back to the city to enjoy a delicious dinner of local Henan cuisine before leaving tomorrow.